Shimla: Himachal Pradesh Chief Minister Virbhadra Singh today presented state budget for 2017-18 in the Vidhan Sabha. The Virbhadra government finally accepted to include the unemployment allowance and announced to grant Unemployment Allowance of Rs. 1,000 per month to unemployed having 10+2 qualifications and above, while disabled unemployed youth would be given Rs. 1,500 per month. The government has also acceded the demand of Tibetan community to provide subsidized ration to the inmates of Tibetan Children Villages (TCVs) as government has included TCVs under “State food subsidy Scheme” with a budget provision of Rs. 220 crore. Continuing with the traditional Annual Plan, the state government proposed an Annual Plan of Rs. 5,700 crore for 2017-18, which is an enhancement of Rs. 500 crore over the previous annual plan. Out of the proposed outlay of Rs. 5,700 crore, Rs. 1,436 crore has been proposed for Scheduled Caste Component Plan; Rs. 513 crore for Tribal Sub Plan and Rs. 70 crore for the Backward Area Sub Plan. 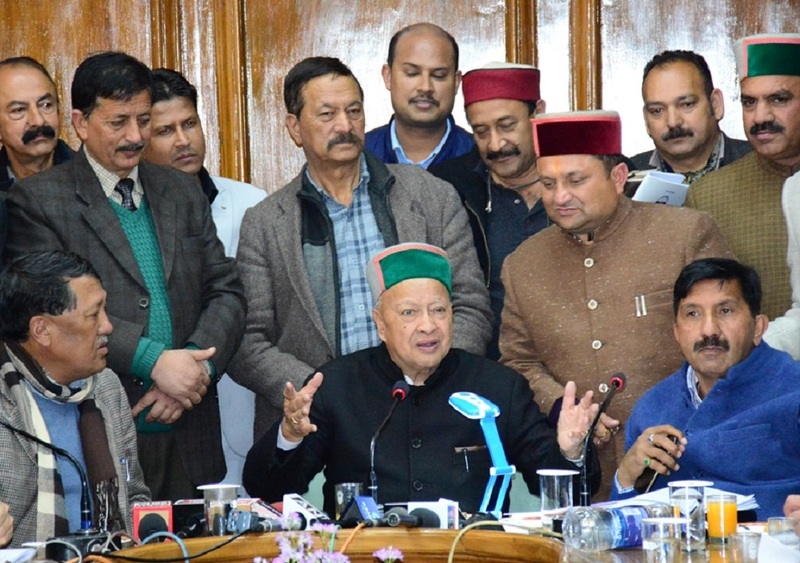 Prioritizing the improving the infrastructure, Virbhadra Singh government has proposed budget outlay of Rs, 3,394 crore for the Public Works Department, Rs. 2,238 crore for Department of Irrigation and Public Health, department of Rural Development and Panchayati Raj has been allocated a budget outlay of Rs. 1,627 crore, while the MPP and Power Department has got budget allocation of Rs. 1,178 crore. The Department of Education has been allocated a budget outlay of Rs. 6,204 crore, Health and Medical Education Department got budget outlay of Rs. 1,720 crore, while Department of Technical Education is allocated a total budget outlay of Rs. 220 crore. The state government has proposed Rs. 424 crore for the Horticulture Department, while Department of Agriculture has been proposed overall outlay of Rs. 484 crore. Animal Husbandry Department has been allocated a budget outlay of Rs. 374 crore. For important Health and Medical Education Department budget outlay of Rs. 1,720 crore has been proposed, and Ayurveda got Rs. 244 crore. Virbhadra Singh Government has proposed a budget of Rs. 530 crore for Forest Department, Rs. 403 crore for Urban Development Department, Rs. 193 crore for the Industries Department, Rs. 498 crore for SCs, OBCs & Minority Affairs Department, Rs. 269 crore for the Labour and Employment Department and Rs. 418 crore for Women and Child Development Department. This Himalayan state is disaster prone and to meet any situation the state government has proposed a budget provision of Rs. 260 crore for Disaster Relief. The budget has also include to provide lie detector /brain mapping equipments in the Directorate of Forensic Science Junga, and proposed to establish a Technical Training Centre at Shimla with a budget provision of Rs 5 crore. Budget proposed to provide Rs. 30 crore for Police Housing in 2017-18. Further Rs. 6 crore is proposed for construction/ renovation of Police Stations. 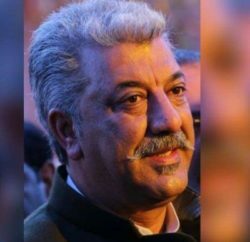 The government has proposed a total budget outlay of Rs. 1,239 crore for the Department of Home i.e. Police, Home Guards, Fire Services and Prisons. As per the Revised Estimates for 2016-17, the Revenue Deficit will be 0.75 per cent and Fiscal Deficit will be 4.23 per cent of GSDP. In 2017-18, the Revenue Deficit will be 0.73 percent and Fiscal Deficit will be 3.50 percent of GSDP. The Total Budget Expenditure estimated for 2017-18 is Rs. 35,783 crore, out of which Estimated Expenditure on Salaries is Rs. 9,628 crore, on Pensions it would be Rs. 4,950 crore, Estimated Interest Payments would be Rs. 3,500 crore, and Loan Repayments are expected to be Rs. 3,105 crore apart from Rs. 448 crore on other Loans and Rs. 2,311 crore on Maintenance. As per Budget Estimates for 2017-18, the Total Revenue Receipts are estimated at Rs. 27,714 crore and the Total Revenue Expenditure is estimated to be Rs. 28,755 crore with a Revenue Deficit of Rs. 1,041 crore. The Expected Receipts in capital Account of the Government are Rs. 6,164 crore apart from Rs. 1,200 crore in Public Account including Provident Fund, etc. Capital Expenditure including Loan Repayments is estimated to be Rs. 7,028 crore. The fiscal deficit for 2017-18 is likely to be Rs. 4,946 crore. As per the Budget Estimates, against an expenditure of every 100 rupees, the State will have Rs. 77.45, as the Total Receipts including Transfers from the Central Government excluding Loans. The gap of Rs. 22.55 will be met by borrowings. Out of every 100 rupees of State revenue receipts, Rs. 28.67 will accrue from Own Tax Revenues, Rs. 5.78 from Non-Tax Revenues, Rs. 17.39 from Share in Central Taxes and Rs. 48.16 from Central Grants. Out of every 100 rupees spent, salaries will account for Rs. 26.91, Pensions for Rs. 13.83, Interest Payments for Rs. 9.78, Loan Repayments for Rs. 9.93 and the remaining Rs. 39.55 will be spent on Developmental Works.